Do you have dental coverage? I have a plan that allows me to see any dentist. I have coverage through State Aid, Medicaid or Denti-Cal. I have coverage through a Union. As coverage information changes often, please verify with the office how they handle your specific coverage before you start treatment. 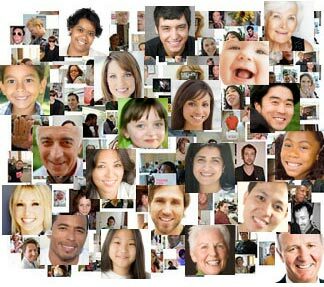 DentalReferral.com can help you find a dentist 24 hours a day, 365 days a year. Not just any dentist but a top-rated local professional who's been carefully prescreened by us. In just seconds, we'll match you with a dentist who offers the exact mix of dental treatments, office hours and payment options you're looking for. It's so easy to find a local dentist with our help. Best of all, we provide this service for free. There's no charge, no obligation and never any fine print involved with finding a dentist through DentalReferral.com. Do you know how most people find a dentist? They ask for recommendations from friends and family who found their dentists by asking other friends and family for recommendations. This touchy, feely word-of-mouth approach to finding a dentist occasionally works out fine. But most times, not so much. Friends and family don't have access to the detailed information that's necessary to find a dentist who's perfect for you. DentalReferral.com is a sure thing. Our site is for everyone who wants a better way to find a local dentist than relying on second-hand referrals from well-meaning friends. If you're looking for an information-rich approach to finding a dentist -- one that backs "feelings" with hard facts -- you're going to love our free service. Most important, every dentist, orthodontist, oral surgeon and periodontist listed on DentalReferral.com has been carefully prescreened by us. Each had to pass a rigorous background check and licensing review before they can be listed with us. Our standards are extremely high. The fact is it's easier to get into most dental schools than it is to appear in DentalReferral.com's "Find a Dentist" directory. Since 1986, we've helped millions of people across the nation find a dentist they really love. The secret of our success is our team. DentalReferral.com has a friendly, U.S. based team of referrals specialists standing by 24/7/365 to help you take the guesswork out of finding a dentist. Call us toll-free day or night, and we'll gladly help you find a local dentist ... a great one. And, we'll even help schedule your first appointment if you like! What are you waiting for? Don't put off finding a dentist any longer. Click now or call 1-866-639-7444.